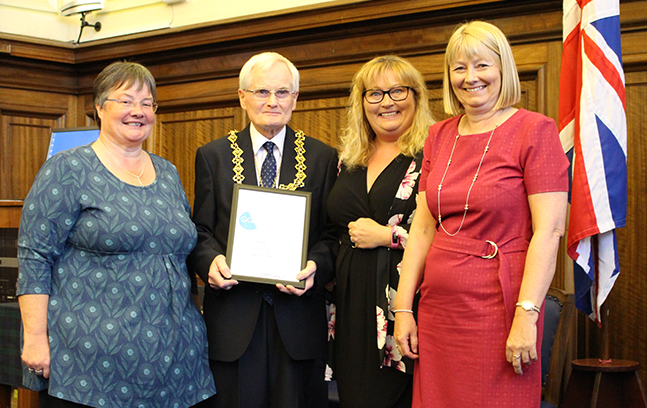 Gowrie Care, part of the Hillcrest Group, was one of four charities recognised at the first Good Governance Award ceremony during an event held in Dundee’s city chambers earlier this week. Achieving the Good Governance accreditation highlights Gowrie’s commitment to continually reviewing policies and procedures to ensure we are a well-run charity. On achieving accreditation Chris Robb, Gowrie Care area manager commented that “We’re always looking for ways to improve and strive to be the best we can when it comes to governance. 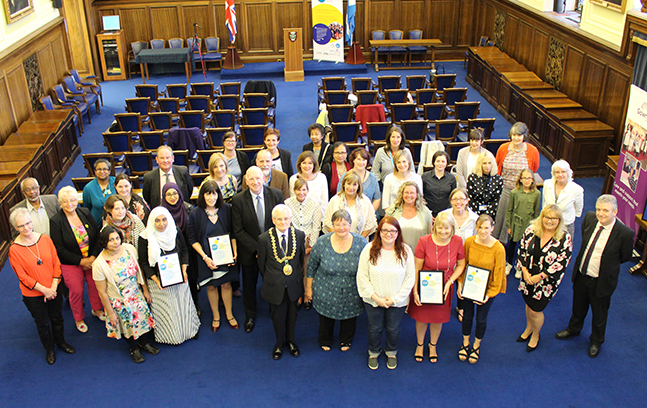 Dundee’s Lord Provost Ian Borthwick presented the nationally recognised award to Alternatives: Dundee Crisis Pregnancy Trust; Amina: Muslim Women’s Resource Centre; Tayside Council on Alcohol; and Gowrie Care.